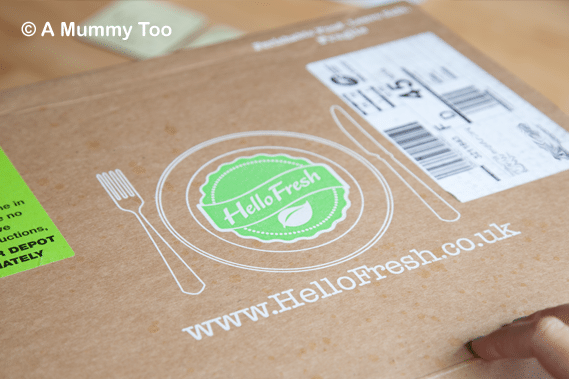 We enjoyed a rather special treat this week – a veggie box delivery for two from Hello Fresh. 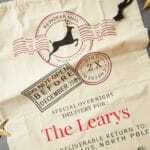 Inside, was a pack of recipe cards…. Looks lovely, doesn’t it? And it was! 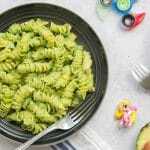 If you’re a busy family and would like to prepare fresh, inventive meals three times a week without having to do a special shop or any planning, Hello Fresh could be a great option. 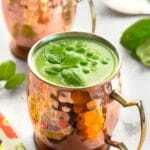 However, as I said when I reviewed Gousto, I’m not convinced your average family can afford to shell out quite so much (£36 for two, or £57 for a family of four) on a regular basis, when they could probably find three recipes on the internet and do an online grocery order for a fraction of the cost. 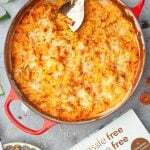 Ultimately, though, Hello Fresh recipes seem a bit less faffy that the ones we tried with Gousto and are a pound or two per meal cheaper. 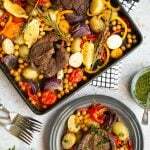 The quality of the Hello Fresh ingredients seems exceptional, however, only Gousto offers entirely organic produce, which could be a deciding factor. So really, it’s up to you. 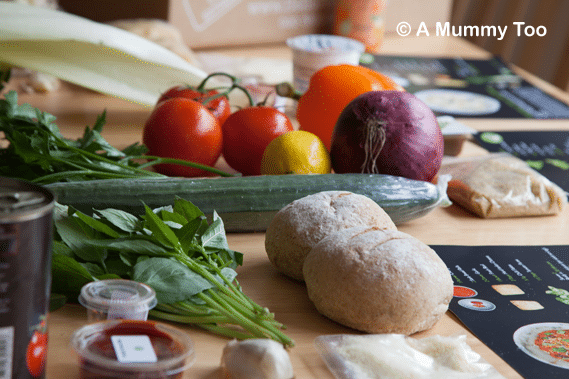 Do you fancy splashing out on £57 now and then for some fresh foodie treats for your family that tick off half the week’s meal plan? 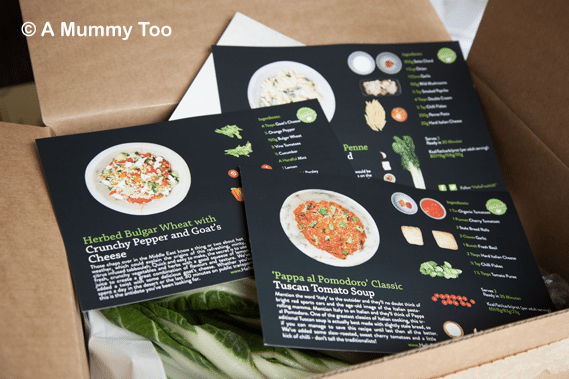 If so, I personally feel that Hello Fresh is a good choice. And at the moment, you can use discount code HELLOEMILY to get £10 off your first order. Now, to truly test Hello Fresh, obviously I had to cook. They’ve very kindly agreed to let me reproduce their Herbed Bulgur Wheat recipe, so here it is. 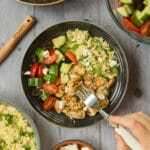 This dish is truly delicious – the warmth of the bulgar wheat is complimented by the fresh and crunchy raw veg, topped with the zing of the lemon and onion, and finished with the creamy chunks of goat’s cheese. Overall it’s a very satisfying, filling, nutrient rich meal. This bulgur wheat recipe takes 30 minutes to prepare and serves two. Serve with some extra lemon wedges and get stuck in! 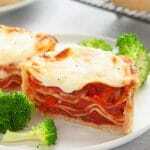 Here’s the recipe again in a printable format. 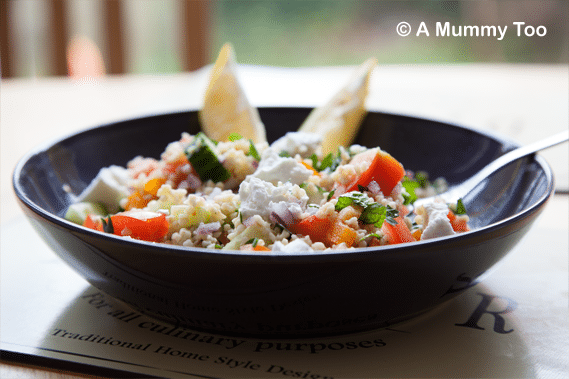 This dish is truly delicious - the warmth of the bulgar wheat is complimented by the fresh and crunchy raw veg, topped with the zing of the lemon and onion, and finished with the creamy chunks of goat's cheese. Overall it's a very satisfying, filling, nutrient rich meal. 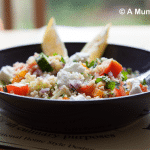 What do you think of this bulgur wheat recipe? For another bulgur wheat recipe by Hello Fresh, try this cajun pork with bulgur wheat and spring greens. We were sent a Hello Fresh box for review. Hi Jay. That’s a really good observation – thanks for pointing it out – I hadn’t realised Gousto is entirely organic. I’ll update the article.